Come and have a look at this Rare opportunity! With it’s great cash returns, this service apartment is managed by the very Famous 8 Hotels – Globe Hotel Managements. This well presented one bedroom one bathroom apartment has a balcony with excellent views down to the Swan River and up to the famous Cathedral. The spacious 49sqm unit also comes with a kitchen a laundry area. Perfect choice for City Lifestyle.This apartment is situated in the heart of Perth’s CBD. 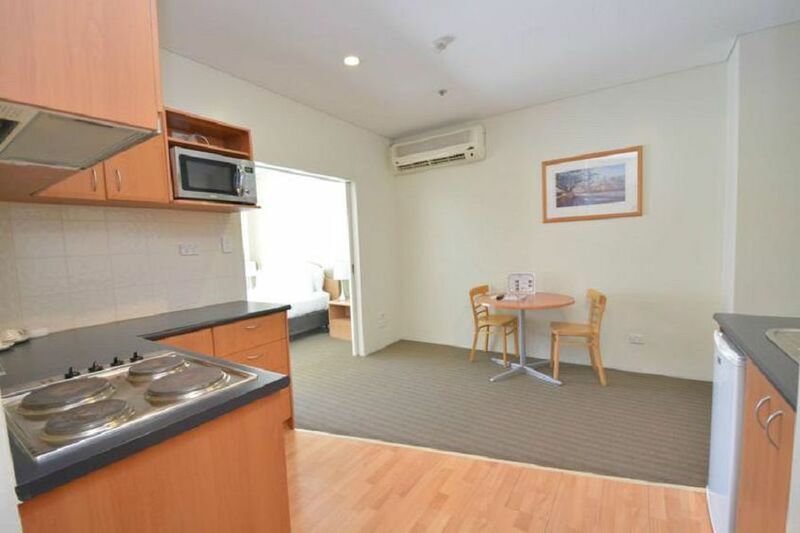 This Unit also provides good Tax Depreciation each year and all furniture shown is included! Have it managed by 8 Hotels management which offer you the great Cash Return as described above.